Children are fascinated by the thought of going fishing. Although, most of them won't actually get to put a worm on a hook and catch a fish, they'll still have fun with these activities. Give children a pretzel rod, some gold fish crackers, and a spoonful of peanut butter. Children dip the end of the rod in peanut butter and then catch a fish. Five little fishes smiling at me. With a fishing pole one day. He/she caught a fish and ate it right away. Hint! Talk about double meanings of words by explaining what a "school" of fish means. And a rocking to the beat. *Choose 5 children to act out this song. *Make fish puppets from old socks. Glue on googly eyes, fins, and a mouth as shown. Let wear these as they act out the song. 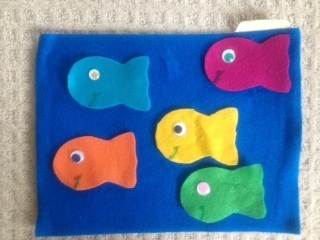 *Make fish out of felt and use on a flannel board to demonstrate addition and subtraction. Everybody knows the “Go Fish” card game, but you can play a similar game to reinforce skills. Tie a 3’ string to a stick. Tie a magnet to the other end of the string. 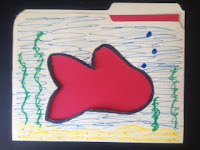 Cut fish out of fun foam or construction paper and write letters, numerals, words, math facts, or whatever skill you are working. 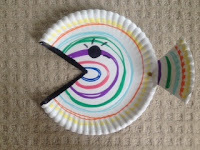 Insert a brad fastener for the eye of the fish and spread out on the floor. The children take the pole and pretend to catch a fish. Can they identify the information on the fish they catch? *Let children make up other verses, such as one about uncle fish, grandma fish, etc. Have the children suggest arm movements to do for the different fish. For most of you Memorial Day means that summer is here and it’s time to get out those white shoes, the sprinkler, and the grill. However, I think it’s important to take a minute today and think about the real meaning of this holiday. Memorial Day was originally called Decoration Day because people decorated the gravesites of those who died during the Civil War. After World War I, it was extended to include all the women and men who died during military service. 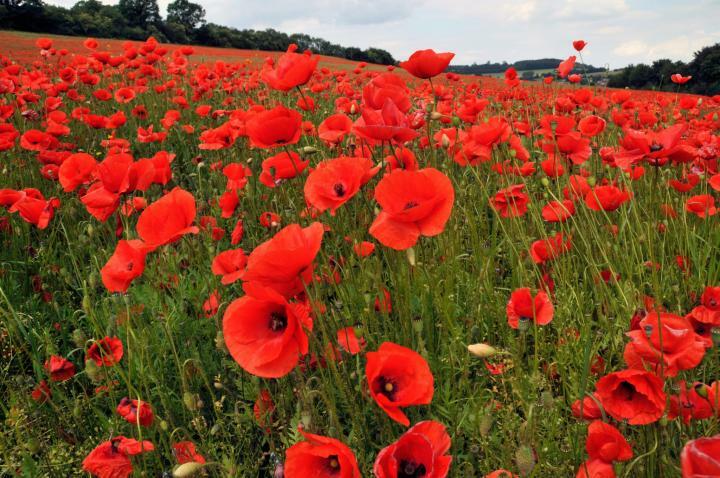 The poppy has become a symbol of Memorial Day due to Moina Michael’s Poem “In Flanders Fields” (1915). 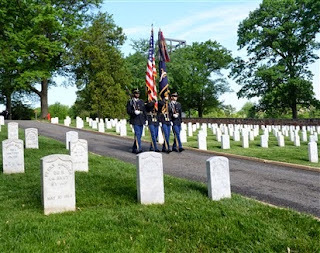 Attending parades, visiting military gravesites, or decorating with flags are traditional ways to remember those who died serving our country. It's Memorial Day weekend and time to head out to the ball park. Cut the front and back off a bag or box of Cracker Jacks. Cut paper the size of the bag and give each child a piece. Let them draw and write what prize they would like to find in a box of Cracker Jacks. 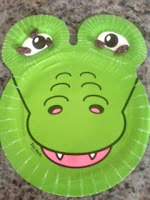 Take four paper plates and write "Home," "First," "Second," and "Third" on them. Arrange them in a diamond shape on the floor. Cut 4" circles out of heavy paper to make flash cards for this game. 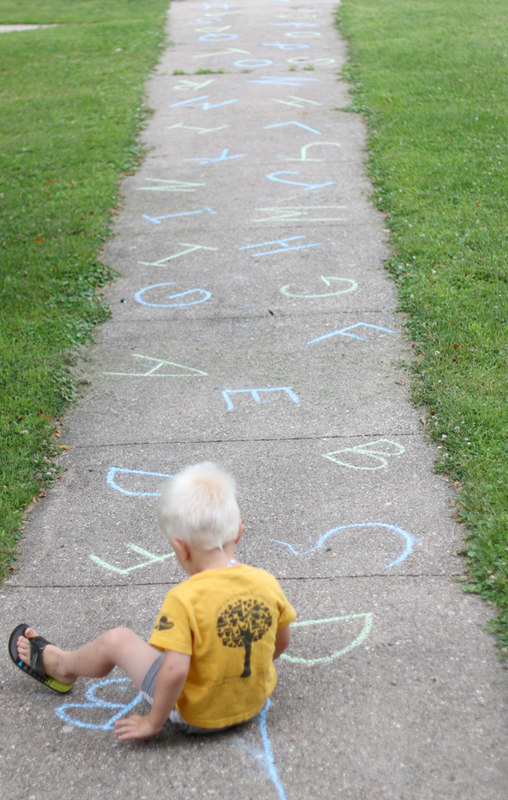 You can write words, math facts, letters, or any skill you want to reinforce. Write "home run" and "out" on a few. Divide the class into two teams. One child at a time comes up to home plate as the teacher pitches (holds up) a flash card. If the child can identify the information she moves on to first. If she doesn't know the answer that's an "out" for her team. *You might want to have a 5 run limit per inning or the game could go on and on. Children take off their shoes and one member from each team at a time picks up a peanut in their toes and walks to a designated spot and back. 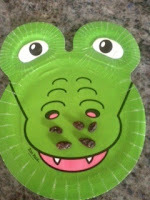 They can't use their hands, but it's fun to watch them try to manipulate the peanut with their piggies. Use this "teachable moment" to talk about the different meanings of the word "root." Can children think of synonyms for "root"? Invite children to wear T-shirts of their favorite team to school one Friday. Those who play baseball, soccer, or another sport could wear their uniforms. Children could also bring balls and sports equipment for a special play time. Hint! Make visors of your favorite baseball team from paper plates. 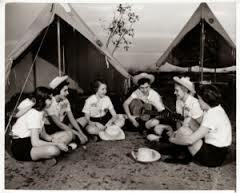 Can you imagine sitting around a campfire and singing? Talk about a vanishing activity! 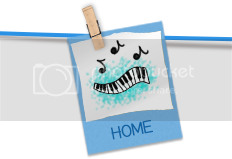 No CD…no big screen…no musical instruments…just an engaging song and friends! My daughter and I were reminiscing that nobody sings like that any more. If you ever sang around a campfire as a child, it's a happy memory you will never forget. The great thing about children is that you can still give them that special memory in your classroom or out on the playground. One day we built a fake campfire out of sticks. (I would have had the fire marshall after me if we built a real fire.) 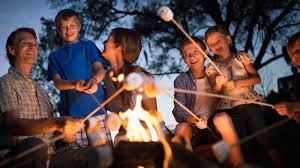 The kids found sticks, stuck marshmallows on the end, and pretended to roast them in the fire. It was hysterical, because they were totally into the experience. We then sang some of our favorite songs. Little man by the window stood. “Help me! Help me! Help me, please. *The second time through hum the first line as you make the motions. Third time hum the first two lines and make the motions. With each verse omit the words and hum as you make the motions until you are just humming the song. 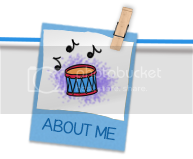 I was looking through old blogs and I found this idea that a teacher in Indiana shared several years ago. I wish I'd found it earlier because I know for many of you it's too late to do this, but just tuck it away for next year it's such a fun idea. 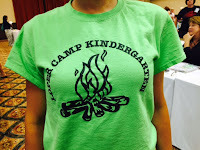 We do camp kindergarten the last two weeks in the school year. Every morning we meet at the flagpole for the pledge and camp songs. 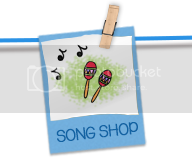 *“Baby Shark,” “The Ants Go Marching,” “Banana Dance,” “Chicka Boom,” and “Calamine Lotion” are a few songs we sing. The parents write letters for “mail call” and the children write back. We take an ABC nature walk and try to find objects for each letter in the alphabet. We make s’mores and trail mix for snack. The children bring blankets, towels, and sleeping bags. They get to take off their shoes to read, do work, listen to a story. We go fishing for words (plastic pool and words with magnets). We go on a bear hunt and then draw pictures of our adventure. To tie in science we study about bugs and worms. 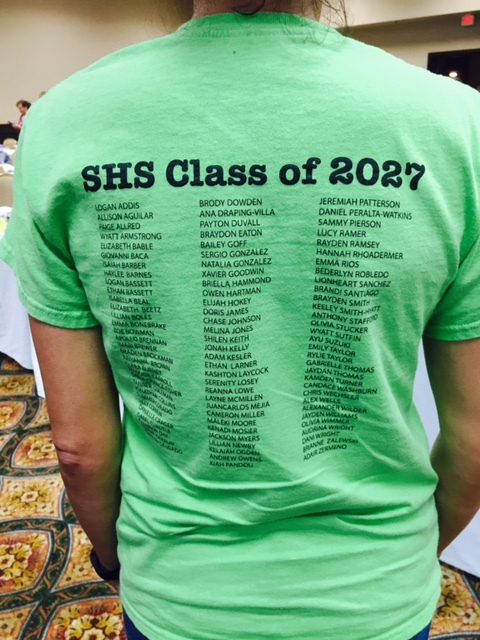 What an amazing way to celebrate and end the school year! 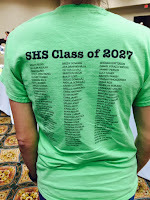 Look at our camp t-shirts with the kids’ names on the back. We love our little monkeys in our classrooms, don’t we? Cut a sheet of paper as shown. Roll down the top section and staple to make the monkey’s head. Decorate with markers or crayons. Glue on a tail. Staple the monkey’s hands to a straw and watch him swing. 2. Spread peanut butter in the bun. 3. Peel the banana and insert it in the bun. Elephants are amazing creatures. I read a book called ELEPHANT BILL about how elephants were used in Burma in WWII - absolutely fascinating! I never knew that elephants have feelings and protect each other's children just like humans. Here's a silly elephant puppet that my children always enjoyed making. There's nothing like putting a puppet on your hand to tell a story or sing a song. Materials: old socks, paper plates, crayons, brad fasteners, gray construction paper. Hint! Ask each child to bring in an old sock. This shouldn't be too difficult because everyone has a lost sock or two. Some things like animal crackers never go out of style! I love to go to the zoo. I hope I never lose the thrill of seeing the animals and watching what they will do to entertain the people. Whether you take a real trip to the zoo or an imaginary trip on the internet, over the next three days you’ll find some activities that children will enjoy. These ideas could also be related to literature, such as making the elephant puppet when you read HORTON HEARS A WHO. Other ideas could be adapted to literature standards (poems or riddles about zoo animals) or informative writing (habitats, body covering, babies, food). What better place to do REAL writing about REAL experiences than out on the playground! Cut 5" off the top of lunch bags. 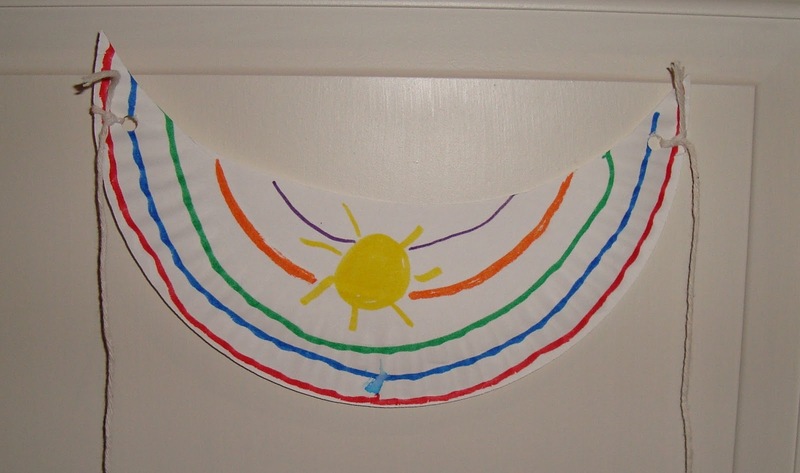 Give children scrap paper and markers to decorate like a camera. (Oops! Some of them might not know about cameras any more so you might need to explain that to them!!) Punch holes and tie on string so the camera can be worn around the neck. Cut 4 1/2" squares and place inside the camera. Take children on an nature walk and invite them to take "photos" of things they see. When you return to the classroom ask them to draw their favorite thing on the paper in their camera. Next, ask them to write or dictate a sentence about their "photo." *Note! Tie this into science themes by having them take "photos" of signs of summer, animal homes, living objects, and so forth. Make blank books by folding two sheets of paper in half and stapling the side. Give children the books, something to write on, and inspire them by sitting under a tree on the playground. I see _______. I hear _______. I smell _______. I touch ______. Give children a clipboard and encourage them to explore the playground as they fill in the blanks (write or draw pictures). Let children share their findings with classmates and then put their pages together to make a class book. 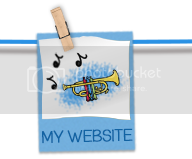 Prepare cartoon frames for children with 3 or 4 sections. Have them use the cartoon frames to illustrate something they have done outside. Demonstrate how to add dialogue bubbles so the characters can talk. Make “thinking pads” for children by cutting paper into fourths and stapling several sheets together. Explain that you will take a “wonder walk” on the school grounds. If they see something they’d like to know more about, they can draw a picture or write it on their thinking pads. Let children share what they recorded when you return to the classroom. Brainstorm how they can find out more about their topic. *Let them do “research” with their parents for homework. The sun is shining so let’s take state standards out on the playground for some counting and cardinality. Take lunch sacks and write different numerals on them. Give each child a bag and ask them to make that set and put it in the bag. Let children share what they have found with their friends. 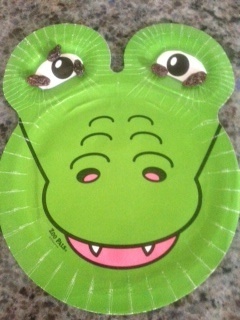 Have children return the objects to where they found them. *This can also be done with a partner or in small groups. Hint! Whenever collecting things outside remind the children to only pick up items off the ground. You never want to pull leaves or flowers off plants because it might hurt them. *Have children estimate how many and then verify their guess by counting. Have children count how many times they can jump rope. How many jumping jacks can they do? How many times can they bounce and catch a ball without dropping it? Fill a basket with rocks, pinecones, leaves, or other natural objects. Ask the children to estimate how many there are. Count the objects. Who guessed more? Who guessed less? Who was closest? Collect 5 or 6 leaves, rocks, sticks or other natural objects. Place a leaf, then a rock, a leaf, then a rock. “What will come next?” Let children make up their own patterns with objects in nature. Work out addition and subtraction problems with sticks, leaves, and other natural objects. Draw basic geometric shapes (square, triangle, rectangle, oval, rhombus, circle) on 6” cardboard squares. Pass out the shapes and challenge the children can find something on the playground with a similar shape. *Give children a popsicle stick or piece of string and ask them to find something longer, shorter, the same size, etc. Ask children to collect different items on the playground. (This will vary with the season and your habitat.) Put their objects together in a big pile. Ask the children to sort the objects. What was their sorting rule? Ask each child to find a leaf on the playground. Make a graph and have the children lay their leaf in the appropriate space. Compare quantities. OUT THE DOOR WITH STANDARDS! Sometimes you just have to think outside the box to make standards more fun! Choose a poetry book, storybook, and non-fiction book to read outside under a shady tree. Can the children identify the books? 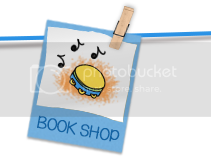 Divide children into pairs and let them each choose a favorite book. Go out on the playground, find a shady spot, and enjoy sharing their books with each other. *Encourage them to ask each other questions about the books they read. Write letters on a paved surface with chalk. Challenge the children to step on the letters as they name them. Can they think of something that starts with each sound. Draw a hopscotch grid on a paved surface. Write high frequency words in each section. Children hop on the spaces as they read the words. Choose a stick on the playground and then have the children sit in a circle under a tree. Explain that you will start a story. As you pass the stick around, the child holding the stick can add to the story. Only the person holding the stick is allowed to talk. You might want to start a story about the day a space ship landed on the playground or the day animals started to talk. Using playground equipment, call out various prepositions, such as on, off, over, under, by, between, to, from for the children to demonstrate. Gather children around playground equipment and tell them you will call out a word. Can they demonstrate the opposite? For example, if the teacher said down, the children would climb up. If the teacher said front, the children would move to the back. Other words could be over, behind, inside, and so forth. Divide children into relay teams. The teacher names a verb and the children act out the meaning until everyone on their team has completed the movement. For example, you could have them walk, march, strut, prance, and so forth. *It's a good way to integrate synonyms! 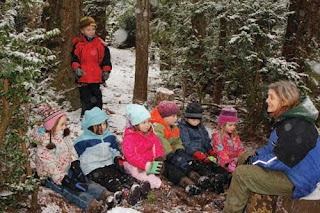 I first heard about Forest Schools several months ago. The topic has come up in several other conversations so I wanted to learn more about it. 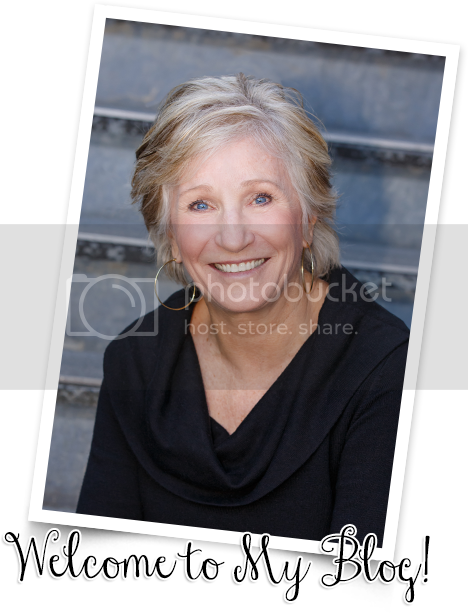 You might be interested as well because its popularity seems to be growing. I think it represents a swing to balance technology and the academic push with real and natural experiences. I embrace the idea of more hands-on outdoor learning, but I’m not sure it is in harmony with our data driven curriculum. I tend to be a middle of the road person, but let me share what I’ve found out and you can make your own decisions. Forest schools originated in Scandinavia and became popular in Denmark in the 1980’s because of lack of space for preschool children. With increased urbanization and “nature deficit disorder” the popularity of these schools has grown from Sweden, to Denmark, to Germany, to the United Kingdom and now the United States. 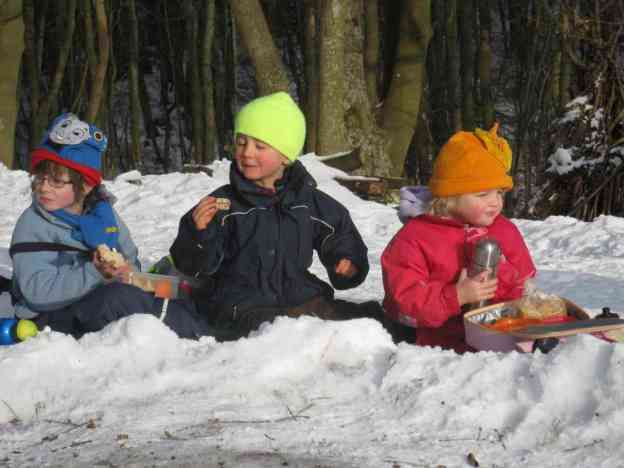 Most forest schools are for ages three to six and are held almost exclusively outdoors – regardless of the weather. Children are encouraged to dress appropriately (waterproof clothing, warm layers) and play and learn in a natural setting. Woodlands, meadows, and beaches can all provide the learning environment, but no commercial toys or materials are used. 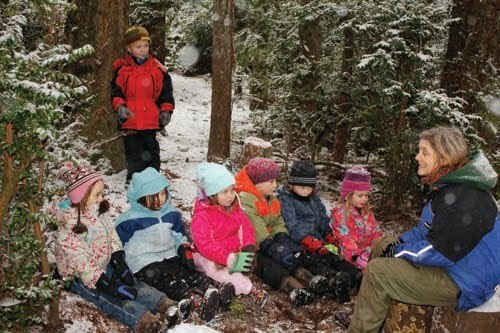 Forest schools seem to have a positive impact on children’s physical and emotional development. See the chart below for how the outdoor activities benefit development. Walking to the woodland, from the building. I think we would all agree that children need to spend more time outdoors. Forest schools sound “lovely,” but how can you judge children by a standardized test when they are building forts and making mud pies? I’ll be sharing some outdoor activities over the next few days, but it’s basically taking academics outdoors. I think at the heart of forest schools is the belief that children should have freedom to explore, create, and learn on their own. Balance, balance, balance!!! EVERY DAY IS A HOLIDAY IN MAY! WANT TO JUMP ROPE WITH ME? DO YOU KNOW THE "WH" BROTHERS?